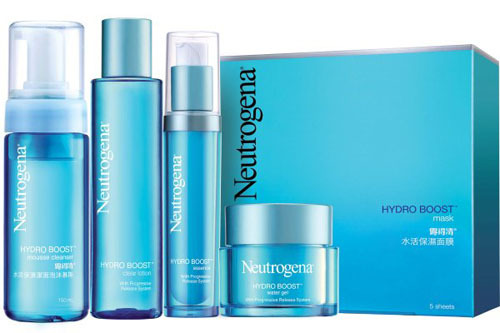 Hydro Boost helps promote the skin’s natural ability to create and hold on to its moisture to address the root cause of inner dryness. It contains technology that retains water longer for intense hydration to revitalize dry and tired skin. Why it works? Utilizing the latest technology, Hyaluronic Acid is condensed and formulated into a highly effective essence. Once applied on the skin, the 12-hour “Progressive Release System” is automatically activated. Hydration is released steadily, providing up to 200% hydration to dry skin cells - hydration power that lasts the whole day. With the 12-hour Progressive Release System, it's like providing a virtual skin reservoir to your skin, which can provide moisture to dry skin cells when they need it, helping skin stay hydrated all day long. I just got to try the cleanser, lotion, and essence and they're as promising as the Water Gel. They're all very light yet not runny. 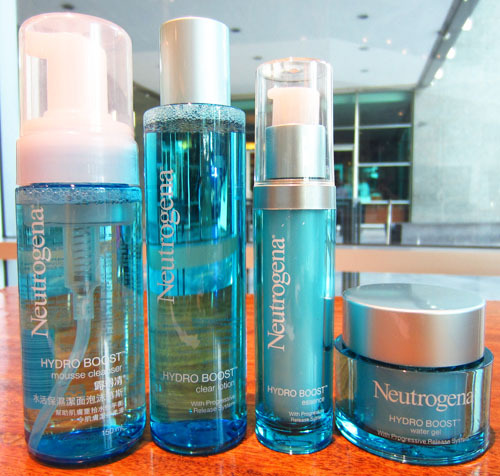 The Neutrogena Hydro Boost skin care range is now exclusively available at Watsons. 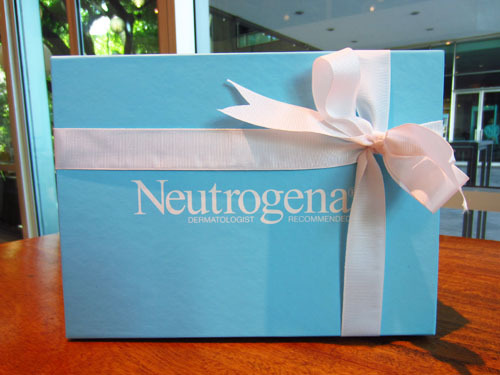 9 comments on "Neutrogena Hydro Boost Skin Care Line"
Neutrogena Hydro Boost Water Gel: d best!!! Hello :) If dullness is your problem then I highly, highly recommend Fine Fairness (look for my 2 cents in the In Her Skin section of the Neutrogena Philippines FB page). If you're allergic to Retinol though, better skip it and stick with Hydro Boost since it's safe for younger and more sensitive facial skin. You'll be safe with yes, the three (cleanser, toner, water gel) to start things off but of course, the full effect is enjoyed after using the entire product range. so i can use either of the 2 products? thank you so much =) i have a sensitive skin, and can easily break out when im using diff products, and im turning 25 on october.. i just want my skin color to be toned enough.. and at the same time, has a natural blooming effect. will i just try cleanser, toner and water gel for the meantime? by the way, how does a 1 set last as based to your experience? Yes, the cleanser-toner-water gel will work just fine. :) This set used twice a day should last you about 2-2 1/2 months.